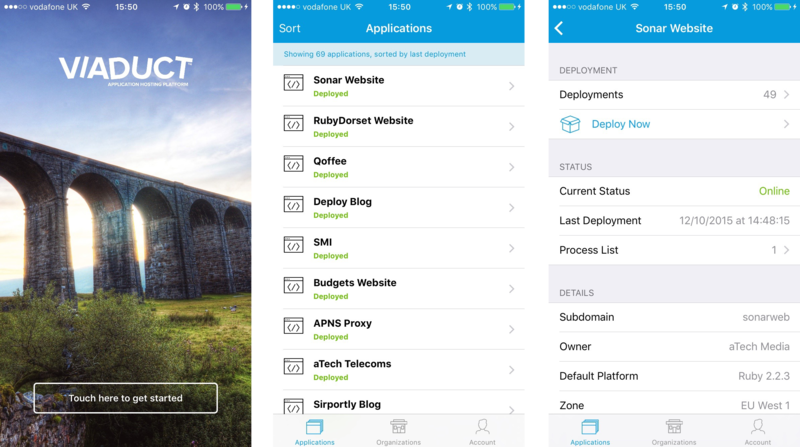 We're really pleased to announce the launch of our new Viaduct iPhone application. Our new app allows you to monitor the status of your apps, deploy them and keep an eye on your spending. You can download the application right now on the App Store. The application uses our API to provide the data which you can also use to create your own tools & applications.